Though there are good educational games on the internet, there are even better collections of games out there, all of which are free. 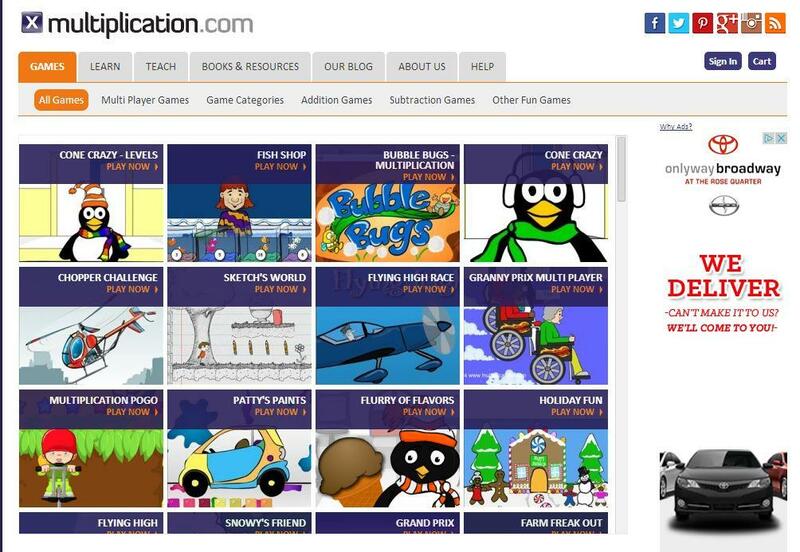 For more great options, check out our full list of great websites for kids. 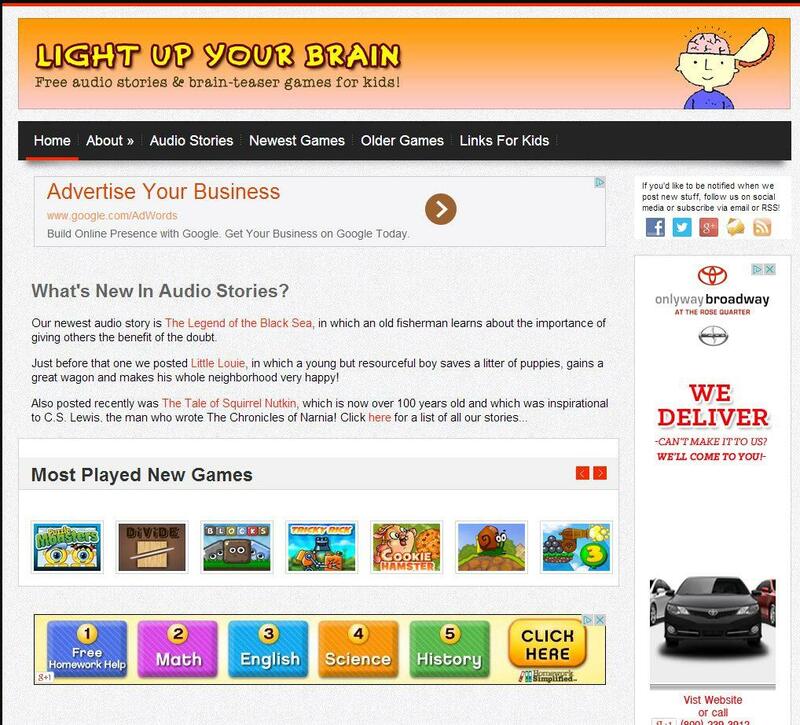 This website is primarily known for offering children’s audio books, but it also has a good collection of games. Unlike the other sites on the list, these games generally focus more on logic than reading or math. Most games are similar to the popular Cut the Rope games, so while they aren’t actively teaching a certain subject, they are making those tiny developing brains work, which is more than I can say for Flappy Bird. It can be hard to tell which games are appropriate for which ages, so it takes a bit of trial and error to find the right ones. 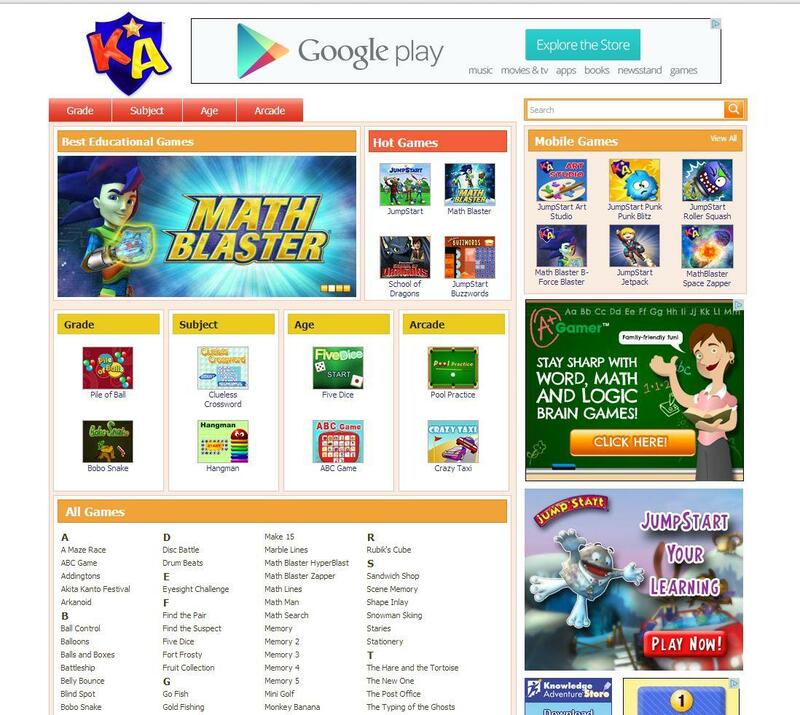 As stated plainly above, this site deals solely with math games. Every game allows a kid to choose which table he wants to study and makes multiplication as fun as it can possibly be. While they are great practice, many of these games are similar and can feel more like homework than a game. There are also addition and subtraction categories to create a well-rounded future mathlete. The longer your child thinks these are actually games, the better. The most useful part of this website is that games are broken up by grade, so it makes it really easy to find a good selection for the right age. The games are also varied so kids can grow up playing them and not feel like they’re playing the same ones. Subjects vary from math, to spelling, to social studies. ABCya also offers interactive audio books, but the games are the real draw. Some games end with a bonus game, which is a fun reward for working on parts of speech, or multiplication tables. 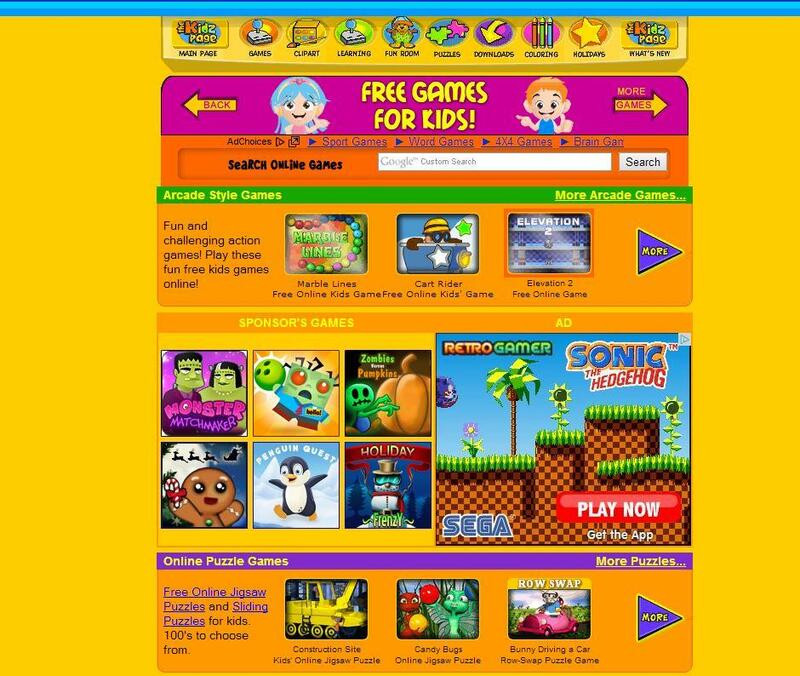 The only thing to look out for is there are a few ads on the site, nothing too intrusive, but kids could click on them and end up being redirected. 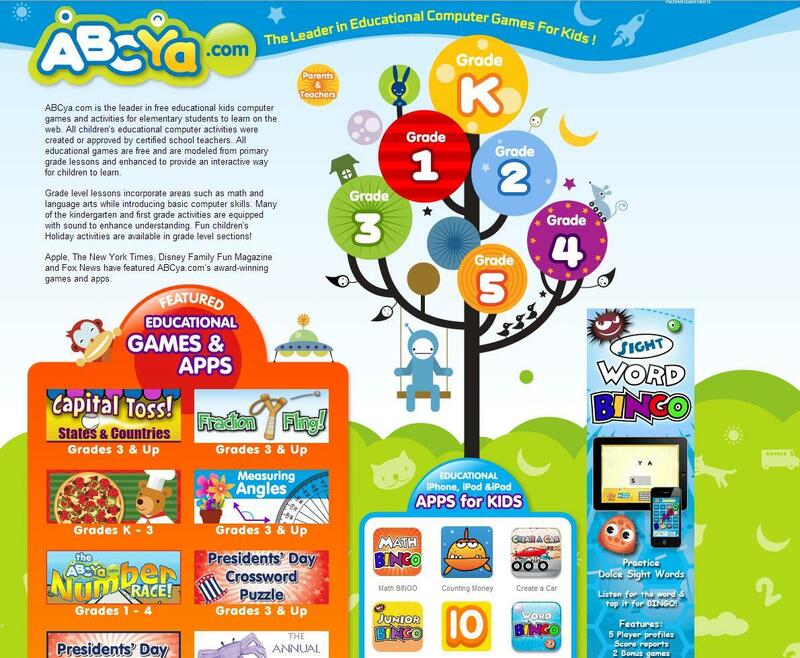 Like ABCya, Knowledge Adventure splits games by grade level, age, and subject matter. It’s database of games is huge and offers a variety with familiar characters such as characters from How to Train Your Dragon . There is also a nice variety of arcade type games for breaks from learning. Because there are so many options it can be hard to choose the right one for your child, so it might take a few tries. There are also ads on the side that encourage children to click them, which then leads them to a different site. Some of these games will direct you to different websites, which can be frustrating for a kid, so make sure to stay away from sponsors’ games. Another frustrating aspect is hidden ads in some games that will take the player to a different site halfway through game play. It can also be hard to sort though the arcade type games to get to educational ones, but there are some good ones on there. It just takes a bit of digging. This is a site where usage might have to be more closely monitored for young kids because of the high volume of ads. What do you think of our list of the best educational games for kids? Did we miss any? Let us know in the comments below.